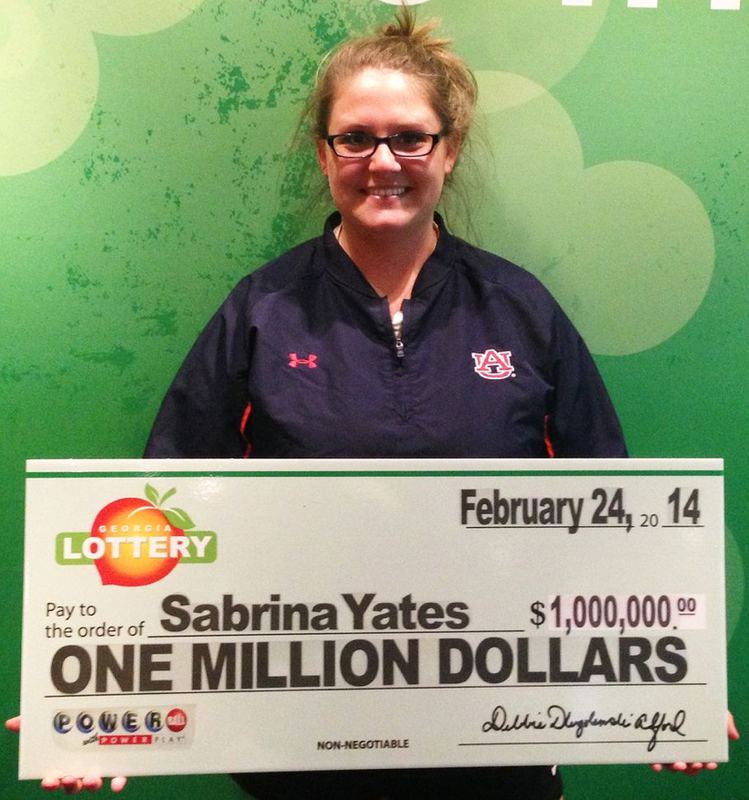 Fate went over the top for Georgia Lottery winner Sabrina Yates. Yates, a 22-year-old Kennesaw State student, is an Auburn fan. She wore an Auburn jacket to pick up her $1 million check. The Powerball number for the Feb. 19 drawing? Yates intends complete her degree in Sports Management. Oh, and this isn’t the first time Bo Jackson’s jersey number has played a part in Powerball profits. In 2012, a Kansas City Royals fan used Bo Jackson’s No. 16 to win nearly 300 million dollars. h/t Robyn Peck, Stephen Hart Jr.